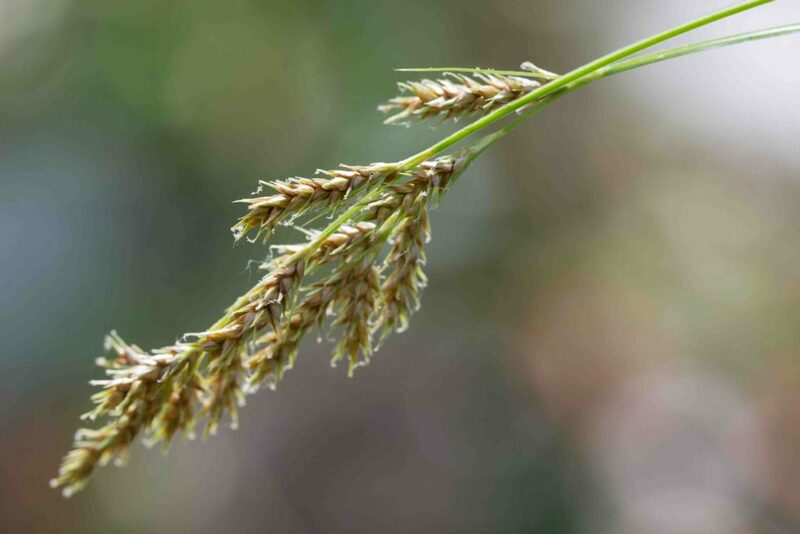 “Reeds and rushes are round but sedges have edges”. There is some truth in this popular saying but it is not invariably the case. 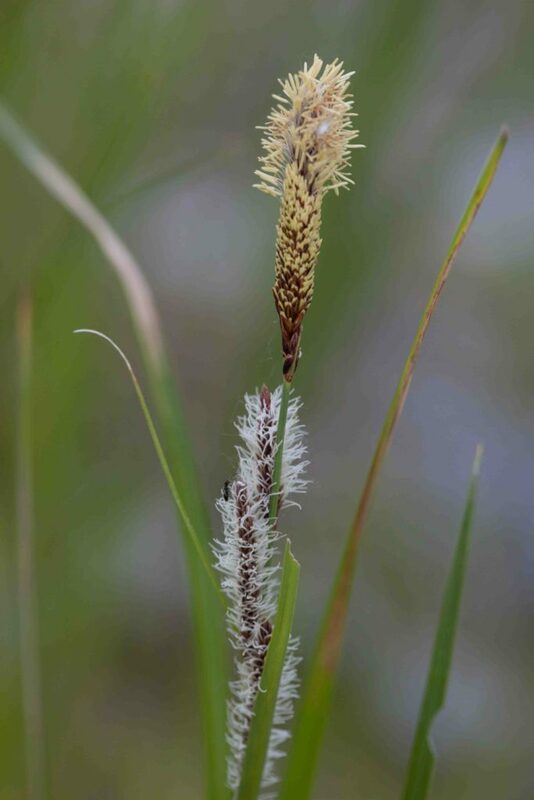 This page deals with a few members of the Carex genus—sedges as they are commonly understood which do follow this general rule. 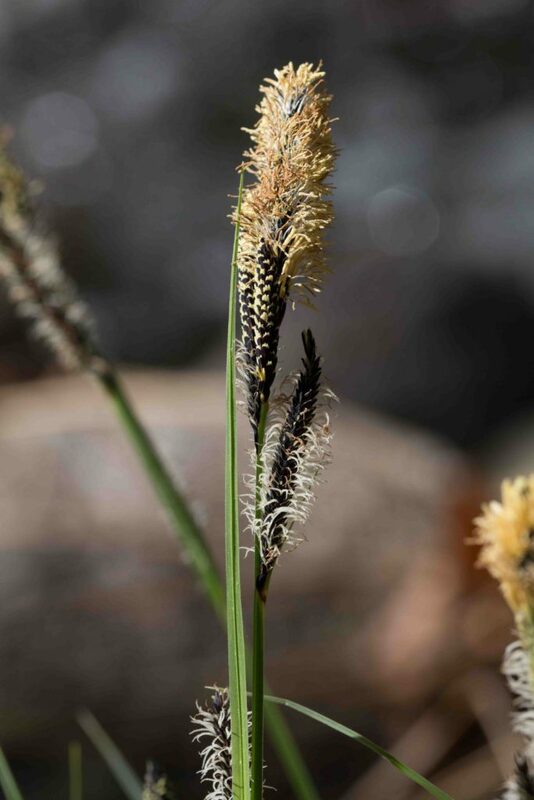 Sedges are a highly complex group. 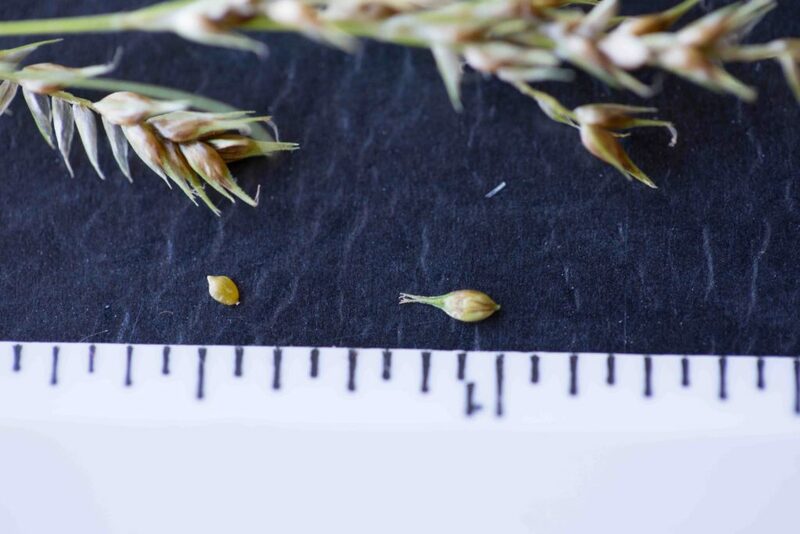 Their inflorescences combine male and female flowers, sometimes on different heads (spikelets), sometimes one above the other on the same head. A proper botanical key is necessary to identify species with confidence, they are extremely difficult to identify from photographs. 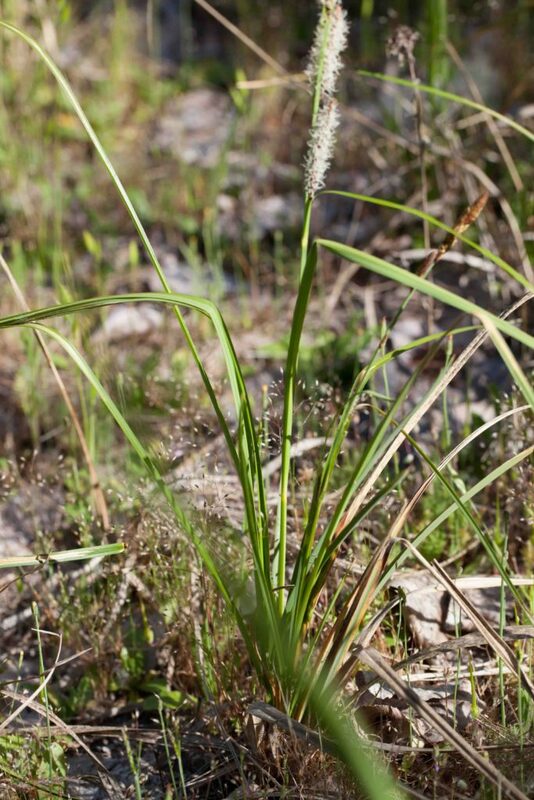 A common sedge with leaves up to 1 m tall almost 1 cm wide. The inflorescence is in several many-flowered spikes. The terminal spike is male and the lateral spikes female, sometimes with male flowers at the tips. 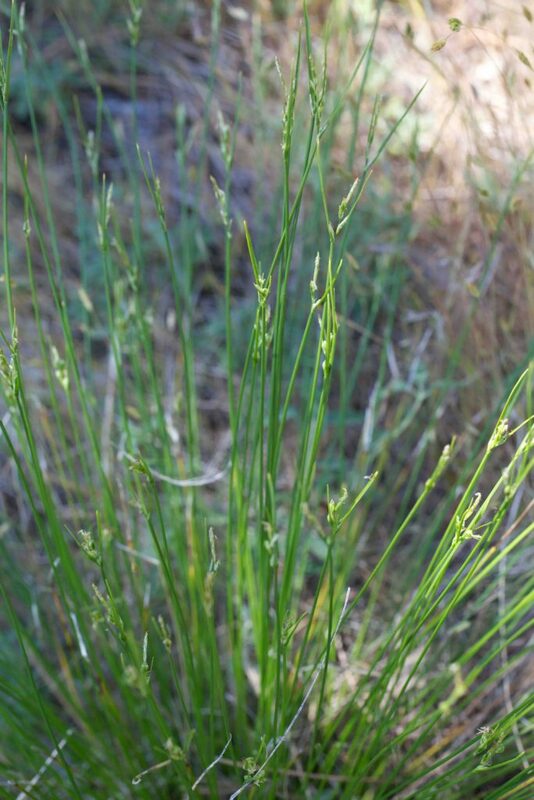 A delicate sedge, sometimes erect but often spreading and drooping. The spikelets are loosely grouped with prominent bracts. Mature fruits are 1.5–1.7 mm in length with a forked “beak” extending from the tip, the beak being a further 1.5–2.5 mm long. The fruit in the photos is a little smaller than this but shows the shape and the forked beak clearly. 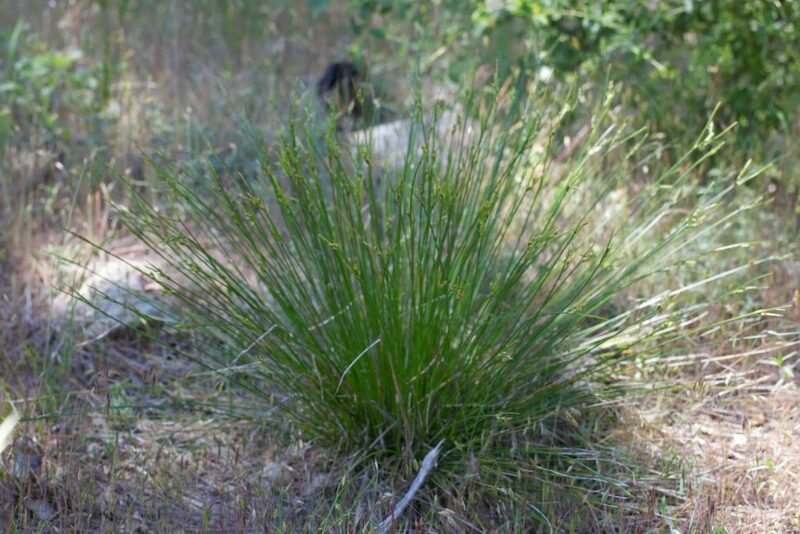 A tufted plant with, as it s name suggests, many stems which are roundish to obscurely triangular and a single terminal spikelet. 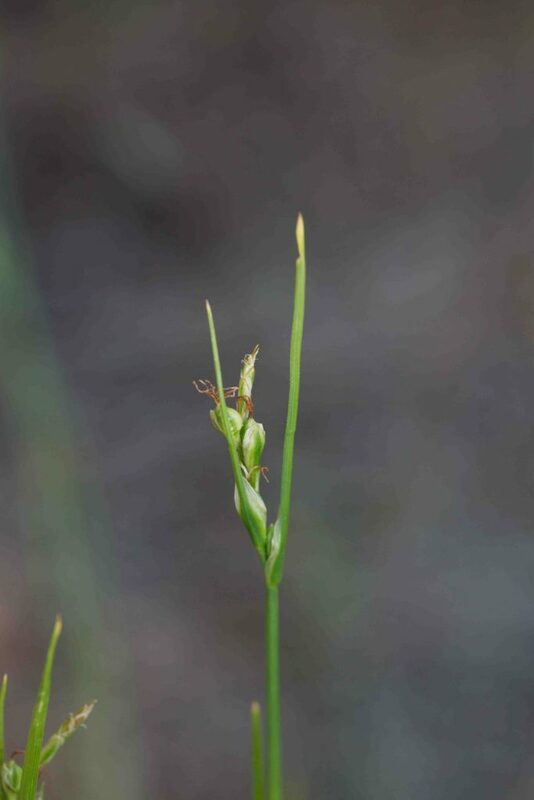 The lowest bract can be leaf-like, with white margins at the clasping base and longer than the spikelet. 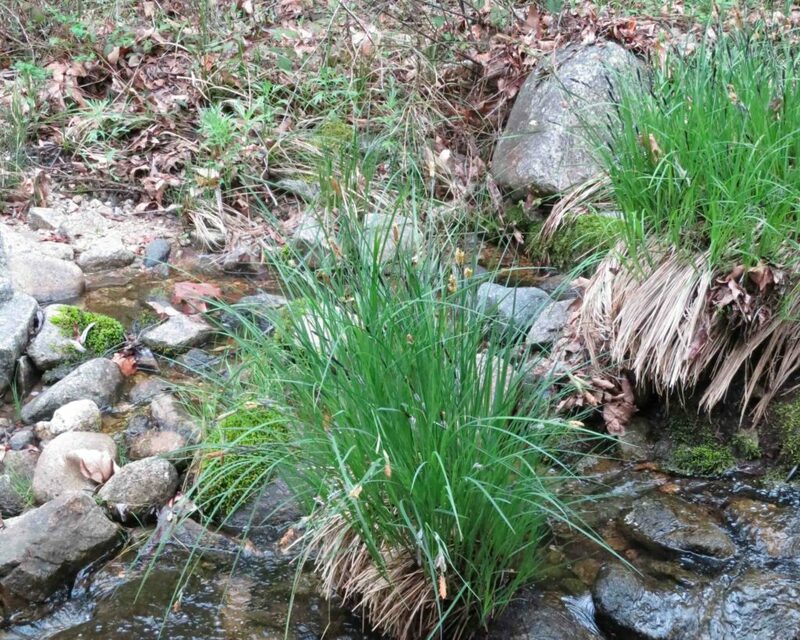 This plant is included to show that not all sedges are found in wet areas, this is found in dry areas at higher elevations. 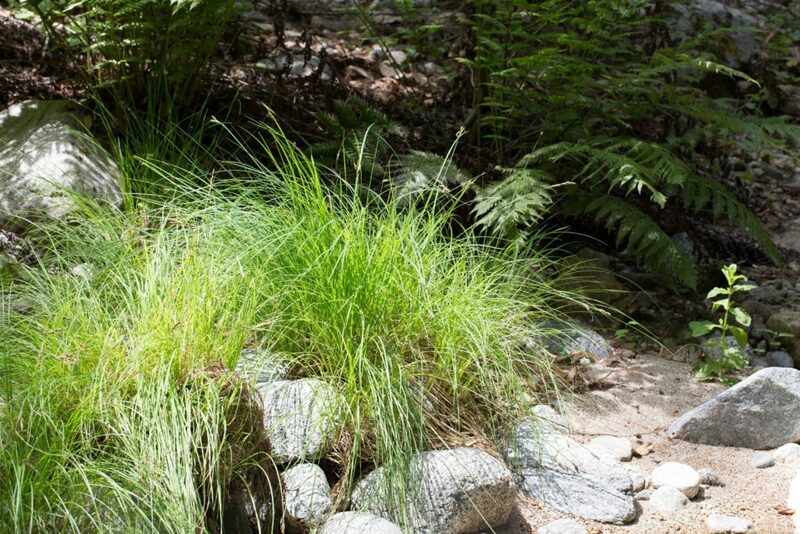 The opposite, in terms of habitat of the previous sedge, this is found in the middle of or alongside sometimes fast moving streams. 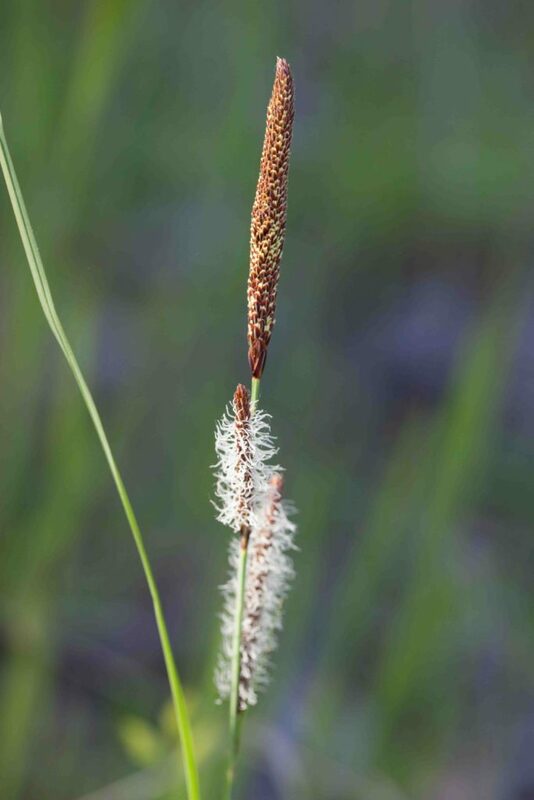 It is densely tufted with conspicuous (for a sedge) inflorescences. The terminal spikelet is male, the lateral spikelets female.